An interaction with Mr. Chukwuemeka Okoye, brother-in-law of the suspected notorious kidnapper, Mr Chidumeme Onwuamadike, a.k.a Evans, in the sleepy village of Awo-Oraifite in Ekwusigo local government area of Anambra State, gave an impression of a family in abject poverty. Chukwuemeka told newsmen that his parents had 13 children, saying all of them had to struggle to make ends meet by engaging in menial jobs. It was, therefore, not surprising that Uchenna, Evans’ wife and the last of the 13 children, had to get married very early so as to leave the poor environment. Locating the home of the Okoyes in the village was difficult because one had expected that the house of the in-laws of a man who counted money in millions, both in local and hard currency, while his alleged escapades lasted, should be among the best in the community. But this was not to be as the unfenced and shabbily looking bungalow, where the family lives stood conspicuously in the area. However, Chukwuemeka’s family of six, along with the unmarried elder sister of Evans’ wife, were found living in the house built in the village by one of his brothers residing in South Africa. To express how detached the wife of the suspected kidnapper is from the family, Chukwuemeka, a peasant farmer and construction site labourer, said his sister had not visited home since she got married in 2006. According to him, he returned from the North some years ago where he was an apprentice following the disturbances in many cities in that part of the country. While at home, and because of lack of support, he learnt to be a mechanic, but had to abandon the job when he had a fracture while lifting a car engine. The encounter with Chukwuemeka began earlier after he returned with a rickety motorcycle, as enquiries were being made about the family, with a bunch of cassava sticks tied behind it. He welcomed the visitor and told the story of his family. He said: “Our late father was already bedridden when Evans married Uchenna, our sister. My sister knew how difficult it was for the family and how sick our father was, but, after her marriage, no member of the family set eyes or heard from her up till now. For the eight years that our father was sick before he died in 2014 , Uchenna neither visited nor sent anybody to know how the family was coping. Sometimes I say to myself that it is possible that Evans charmed my sister because this was a girl that was very caring and homely. For her to abandon the family did not look normal to me. “During the burial of our father, it was her father in-law, Mr. Stephen Onwuamadike, that came with his relations and could not even fulfill the conditions required during such situation in Igbo land. Uchenna and her husband, Evans, did not come to the village for the burial. “For some years now, our mother has been down with diabetes and one of my brothers living in the North had to take her to keep close watch on her. She would have preferred staying at home, but having seen that it would be extremely difficult for me to manage the sickness due to lack of financial resources, she agreed to go to the North. “My sister and her husband have not been communicating with us and we don’t even know where they live. There was a time someone said they were living abroad. I am, therefore, shocked to hear that Uchenna’s husband is a suspected kidnapper and that he had made so much money. “My sister that I knew would have escaped from his house if she found out that the man she married is a kidnapper and that is why I say that everything is not normal with her. I had not even left this village for apprentice in the North when she got married and I am now married with four children and my sister does not know whether I am alive or not. It is even possible that I might not recognize her if I see her, not to talk of knowing her children. My wife here (pointing at her where she was seated and listening) does not know about her because we have never discussed anything about Uchenna. I am also surprised to hear that she has five children. “My elder brother once told me that he communicated with her and there is no way I could know their present predicament because I do not watch television, neither do I have a mobile phone that can be used for browsing. I cannot even identify my brother in-law, Evans, if we meet anywhere because the last time I set eyes on him was the day she came here and took my sister away 11 years ago.” Chukwuemeka, however, pleaded with government to give his sister and her husband a second chance, believing that they would turn a new leaf, having seen where crime landed them. 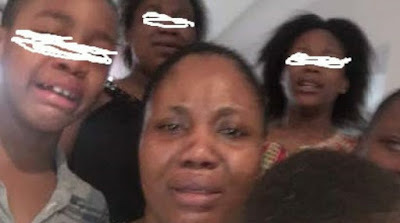 Evans’ wife’s cousin, Reverend Emmanuel Okoye, a priest of the Anglican Church, corroborated Chukwuemeka’s story, saying they did not know much about Uchenna because she had not been communicating with the family, adding that he only knew about their present predicament from the internet. He said: “We were all living in that house (pointing at the bungalow), but as the family became larger, coupled with frequent family squabbles, we left the house because it was built by their father. I have not asked her immediate family about what I saw on the internet concerning her and husband because we have not been relating as we should.” Mrs. Ngozi Nwaka, a petty trader, who said she knew Uchenna when she was at Awo Primary School, Oraifite, close to the Okoye family home, expressed surprise when her name was mentioned due to the fact that she had not heard or seen her since she got married. Though Mrs. Nwaka said she had heard about Evans the kidnapper as he was regularly shown on television, she never associated him with Uchenna because the couple had not been visiting Oraifite. She told newsmen that Uchenna was an average pupil in her class, although she was not contemplating going to secondary school because the parents were poor, adding that she was among the first set of her age mates to get married. Many of the villagers told newsmen they were not aware that, Evans’ wife hailed from the area. Although some of the people said they had read about Evans, who was described as the most notorious kidnapper in the country, it was a surprise to them that he was married to their kinswoman. 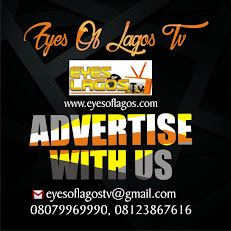 A commercial motorcycle operator, Mr. Francis Odinuko -recalled how a suspected kidnapper from Ifite-Oraifite, Mr. Olisagbo Ifedike, a.k.a Ofe Akwu, attracted so much attention in the area during the administration of former Governor Peter Obi, who led security operatives to demolish two magnificent buildings belonging to Ofe Akwu on September 5, 2012, adding that until that demolition, most people thought Ofe Akwu was a businessman. Odinujo said that Evans’ in-laws must count themselves lucky that he did not build any house in their compound because such a house would have been demolished in line with the Anambra government policy. Odunuko said he went to Umudim, Nnewi when the news of Evans broke, not knowing that his wife is from his home town, Awo-Oraifite. He urged government not to take those begging for leniency for Evans serious, arguing that kidnappers are wicked people who must pay for their crime. “Not minding that the wife is from my town, Evans should face the music because of the suffering he inflicted on many families and innocent people who he denied freedom,” the commercial motorcycle operator said.